Papers and Pubs is now accepting submissions for its third issue. The deadline for submission is February 15, 2014. Papers and Pub(lication)s is a peer-reviewed, interdisciplinary journal of undergraduate research of the Southeast region published by the University Press of North Georgia and supported by the Center of Undergraduate Research and Creative Activities at the University of North Georgia. Publication in a scholarly journal of this type can be very beneficial for a career résumé or a graduate school application. Papers and Pubs promotes student learning by disseminating undergraduate research and creative works that make an intellectual or creative contribution to the discipline or to applied practice. Its Editor-in-Chief is Dr. BJ Robinson, and its subject-area editors are Dr. Tanya Bennett, Dr. Frank Corotto, Craig Wilson, Gloria Bennett, and Susann Doyle-Portillo. Original work submitted by students must have been presented at a conference, showcase, or capstone course either on their own campus or at a regional/national conference site. The work must have been completed while the student was an undergraduate; the student may submit research within one year after graduating. Faculty members serve as mentors but may also be listed as co-authors if desired. The student’s faculty mentor must also sign the Author Agreement and Faculty Mentor Approval form. The faculty mentor should have guided the student during completion of the research project and be available for guidance during the manuscript submission and peer-review process. In addition, faculty mentors should provide their mentees with suggestions for experts who can review the submission. This information will be requested during the submission process. Original research papers and creative works are welcome from all departments and disciplines, including fiction, creative non-fiction, and poetry (providing the creative work has been presented at a conference or in a class). Submitted articles cannot have been previously published, nor be forthcoming in an archival journal or book (print or electronic). Please note: “publication” in a working-paper series does not constitute prior publication. In addition, by submitting material to Papers and Publications: Interdisciplinary Journal of Undergraduate Research, the author is stipulating that the material is not currently under review at another journal (electronic or print) and that he or she will not submit the material to another journal (electronic or print) until the completion of the editorial decision process at Papers and Publications: Interdisciplinary Journal of Undergraduate Research. If you have concerns about these submission terms, please contact the editors. Manuscripts should be submitted as Word files. They should be typed, single-spaced, fully justified, with one-inch margins, 12 point Times New Roman font, and numbered pages. Illustrations, tables, and figure legends should be embedded within the text at the locations preferred by the authors. Length: 5,000 words maximum. Citations should be formatted in the most recent editions of the citation style appropriate to their academic disciplines e.g. MLA, Chicago, APA, etc. The chosen format must be used consistently throughout the manuscript. Submissions must include an abstract of 250 words (maximum) and a student author biography of 300 words (maximum). Append the biography to the manuscript itself. Submit your article electronically through the journal web portal: http://digitalcommons.northgeorgia.edu/papersandpubs/ Click “Submit Article” on the right, and then follow the instructions. Authors and mentors must sign and mail our Author Agreement and Faculty Mentor Approval form within two weeks of manuscript submission. Manuscripts and works without an author agreement form will not be reviewed. For questions about this process, please contact Heather Bretschneider at hbret0476@ung.edu. This year’s issue of Papers and Pub(lication)s is now online. See it here. Congratulations and thanks to all the authors who participated. We’re excited to see the journal growing; if you’re an undergraduate or have just graduated (we’ll soon be changing our cutoff date to within one year of graduation rather than six months), consider the possibility of submitting to us next spring. It’s a great opportunity to see the publication process, which can be a bit scary at first, but we can help you through it and let you gain the experience to continue publishing further research. Especially if you want a career in academia or another research-heavy field, Papers and Pubs could let you proceed with great confidence. Even if you aren’t keen to publish, we hope you’ll enjoy the ideas and findings presented in this volume. Support budding researchers by reading their articles; they worked hard to bring new information to the world. Papers and Pub(lication)s is an open access peer reviewed online and print journal of undergraduate research. 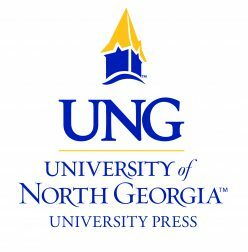 Papers and Pubs is published by the University Press of North Georgia and supported by the Center of Undergraduate Research and Creative Activities at North Georgia College & State University. Papers and Pubs promotes student learning by disseminating undergraduate research and creative works that make an intellectual or creative contribution to the discipline or to applied practice. Its Editor-in-Chief is Dr. Miriam Segura-Totten; its co-managing editors are Dr. Tanya Bennett and Dr. Frank Corotto. Papers and Pubs is now accepting submissions for its second issue. The deadline for submission is January 15, 2013. Students in the southeastern region and their faculty mentors may submit original work that has been presented at a conference, showcase, or capstone course either on their own campus or at a regional/national conference site. Original research papers are welcome from all departments and disciplines, including fiction, creative non-fiction, works of art, and poetry (providing the creative work has been presented at a conference or in a class). All submissions will be reviewed by faculty reviewers. Students may submit original work that has been presented at a conference, showcase, or capstone course either on their own campus or at a regional/national conference site. The work must have been completed while the student was an undergraduate; the student may submit research within six months after graduating. Original research papers are welcome from all departments and disciplines, including fiction, creative non-fiction, works of art and poetry (providing the creative work has been presented at a conference or in a class). The work may not be under consideration by other publications. Manuscripts should be typed, double-spaced, with one inch margins, 12 point Times New Roman font, and numbered pages. Length: 5,000 words maximum. Manuscripts should be formatted in the most recent editions of the citation style appropriate to their academic disciplines i.e., MLA, Chicago, APA, etc. Submissions must include an abstract of 250 words (maximum) and an author biography, written in third person, of 300 words (maximum). All submissions will be reviewed by at least two faculty reviewers. A little over a month after the electronic launch of Papers and Publications: An Interdisciplinary Journal of Undergraduate Research, we are happy to announce the release of the hard copy version. You can now purchase a copy through our partner, Booklogix, by visiting this page: http://shop.booklogix.com/Papers-Publications-Vol-1-Issue-1-4153.htm. Copies are only $8.00, so show your support of Undergraduate Research and purchase one today! You can see what you’re getting before you purchase your copy. All of the articles are available to download for free from the official Papers and Pubs website. During the 2011-2012 academic year, submissions from undergraduate students throughout the southeastern region were read and selected through a rigorous peer review process directed by the journal’s editors: Dr. Miriam Segura-Totten, Editor in Chief; Dr. Tanya Bennett, Humanities Editor; and Dr. Robb Sinn, STEM Editor. The research topics of the finally-selected articles include eco-criticism, international economics, the Holocaust, African-American literature, sponge habitat, and elementary education. Their authors are undergraduates from the University of Arkansas at Little Rock, Davidson College, Hollins University, North Georgia College & State University, and Sewannee: The University of the South. Papers and Pubs will begin accepting submissions for its second issue in early Fall 2012. Students in the southeastern region and their faculty mentors may submit original work that has been presented at a conference, showcase, or capstone course either on their own campus or at a regional/national conference site. Original research papers are welcome from all departments and disciplines, including fiction, creative non-fiction, and poetry (providing the creative work has been presented at a conference or in a class). Also welcome are original juried art works. All submissions will be reviewed by a faculty reviewer. Inquiries may be addressed to upng@northgeorgia.edu.